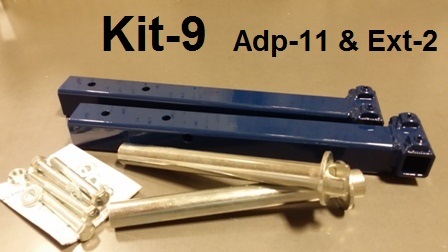 Complete kit includes Steel Adaptors (ADP 11) and Steel Frame Extensions (EXT 2). If you have a Model 65 EZ, you will only need the adaptors. Adaptors fit in nose wheel axle tube. Extension bars extend tug frame of tug to accommodate long nose.